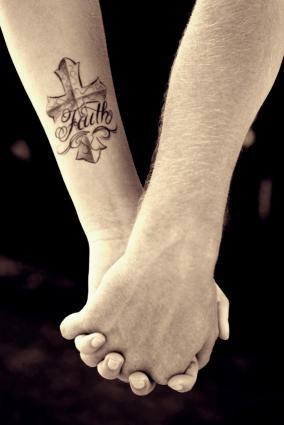 Few body art designs hold as much symbolism as cross tattoos. 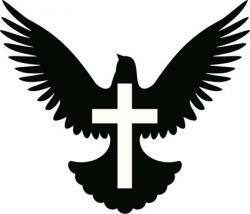 This symbol actually pre-dates the life of Jesus Christ, and many crosses hail from more ancient Pagan religions. The cross was used as a symbol in ancient Greek and Egyptian cultures, as well as by the Aztecs. 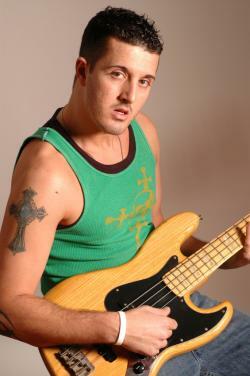 When you consider all the meaning attached to this symbol and the fact that there numerous styles of crosses, it's no wonder it makes such a great subject for a tattoo. Since crosses have been used in so many different religions and cultures, there are many ways you can depict them in a tattoo. From stylizing a popular cross design to using a lesser known one, you have a number of options. Knots filling the crosses are believed to symbolize the intersecting of the corporeal and spiritual worlds, as well as the continuous nature of life itself. 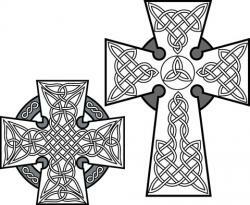 Celtic cross tattoos can make use of any or all of these design attributes, along with subtle colors in the knots or corners of the cross to help highlight the details. The Latin cross has one tall, vertical beam intersected by a slightly smaller horizontal beam about one third of the way down from the top. This design is most closely associated with Christianity. 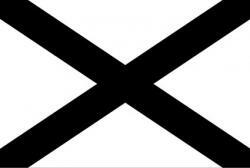 St. Andrew's Cross is shaped like an X instead of the typical T design of most crosses. St. Peter, believing himself unworthy to die in the same manner as his Lord, was crucified upside down. St. Andrew also held the same belief, and therefore he was crucified upside down on a cross shaped like an X. The Christian cross may be similar to the Latin cross, or it may be more ornate, displayed with the cross beam in the center of the vertical beam with all four arms of equal length. It can also be combined with the Sacred Heart to become a symbol of Catholicism. The Ankh is rooted deep in Egyptian culture. 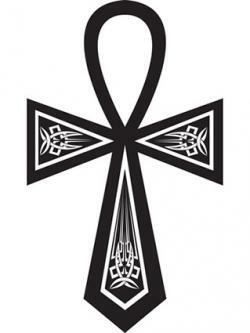 The bottom of the Ankh is similar in shape to the Latin cross, but the top portion loops over and connects back to the cross beam. Ancient Egyptians called the Ankh the Key of Life, and they believed the key was used by the Gods of the underworld to awaken those who had crossed the river of death and usher them into the afterlife. Ankh tattoos are often used as signs for infinity and fertility. The Tau is a cross design that encompasses the Christian, Jewish, and Pagan worlds. This cross looks like a capital letter T. It has been used as the symbol of the Pagan God Tamuz, and it's also believed to be the Hammer of Thor. The Tau may also have been the inspiration for the Latin cross, and it's used by many people as a Pagan symbol or Pagan cross. Thor's hammer with a stylized top cross beam filled with runes and a wooden "handle"
With so many ways to wear a cross tattoo, nearly anyone can find a design that suits them, no matter what their personal religion or beliefs happen to be. 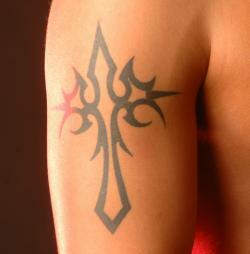 Explore the rich symbolism of various crosses before you get your next tattoo, and see where your design takes you.